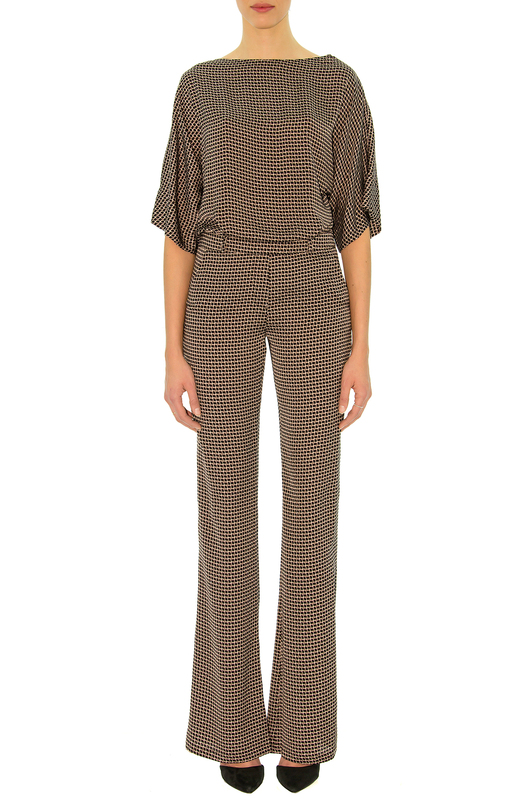 An original jumpsuit in a soft and confortable microfiber fabric with a modernist beige and black patern. Boat neck wide sleev 3/4, tighten on the waist and straight fluid trousers for an elegant outfit all in contrast. Ideal for an elegant evening with 60's accents. Stefanie Renoma : a collection of ready to wear ​​entirely made by hand in our workshop. Fabrics, cashmere, wool, silk, stretch jersey, cotton and viscose are selected with the utmost care from the best European manufacturers.